Obsessive-compulsive disorder (OCD) is a type of anxiety disorder that can become quite intense and pervasive. OCD generally involves two components: a repetitive set of thoughts, and a corresponding pattern of behaviors. The thoughts are usually described as "intrusive" – unwelcome and difficult to control. Behaviors are "compulsive" – hard to resist, at least not without extreme discomfort. A classic example is an individual who has intrusive thoughts about catching a disease. "Doorknobs have tons of germs," she thinks. "If I touch them, I'll get sick." For the OCD sufferer, these are not garden-variety worries; instead, they are pervasive, repetitive, and sometimes relentless thoughts. The person feels haunted by them. And she finds that the only way to control them is to wipe down every door knob she comes into contact with. Unfortunately, the more this person wipes doorknobs, the more reinforced the OCD pattern becomes. Each attempt to control the anxiety through wiping doorknobs actually increases the hold of the pattern. Obsessive-compulsive disorder is a miserable experience. However, we in the cognitive-behavioral therapy tradition use specific methods for treating OCD. Let me outline a few of them below. Dr. Jeffrey Schwartz is leading researcher at UCLA who has developed a structured cognitive-behavioral treatment method for OCD. Building on his work, I often begin by having my clients practice "relabeling" or "recategorizing" their intrusive thoughts. "That thought is just my OCD." Every time she "catches" the intrusive thought, she practices following-up by labeling, or categorizing, it as OCD. We might practice putting the thought in the "OCD box." "OCD thoughts aren't necessarily true." "That's just the anxiety part of my brain firing off." "That's just my amygdala (fight-or-flight) activating." "I don't have to immediately act on this thought." Even though the obsessive thought feels completely true and demanding of immediate action, we practice re-categorizing it. It is just a thought. We do not have to act on it. We do not have to treat it as all-knowing. In this process, I never have my clients "fight" (or even necessarily try to change) the obsessive thoughts. Fighting activates the amygdala – the fight/flight/freeze part of the brain – and reinforces the pattern. Instead of fighting the thoughts, we simply notice them, allow them to pass, and categorize or label them properly. Then we turn our minds toward something more peaceful – including self-care practices. As we do this, the mind learns a new way to perceive its own thoughts. As a next step, we begin to gently, gradually work in the opposite direction of the obsessive-compulsive pattern. In the cognitive-behavioral therapy field, we call this "graduated exposure and response prevention." For the person with doorknob-oriented symptoms, we might begin by simply studying the doorknob in my office. We look at it, and consider what it would feel like for the client to touch it. When the client is ready, I might then offer to wipe down the doorknob myself, and invite the client to touch it after I've wiped it. This would likely trigger a great deal of anxiety, as the client is used to wiping-down the doorknobs herself. We would spend as much time as necessary at each of these first two steps, practicing them repeatedly and continuing to identify any anxious thoughts that come up. In time, these steps will likely become easier – ultimately, perhaps, even boring. As the client moves through these first two behavioral steps, and gains comfort with them, we would then gently continue to "raise the bar." We might try a "quick wipe" of only a few seconds on a new doorknob. And then an even briefer wipe with another one. Our goal is to "ease off" on the compulsive behaviors in a gradual way. Patience and persistence in this work is key. The ultimate goal is to teach and show the client's mind that she is safe. 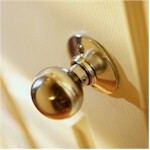 Even though doorknobs do indeed contain a great deal of germs, the client's immune system will likely protect her. And if the client does indeed catch a cold, flu, or other illness from a doorknob (which indeed might happen! ), she will very likely weather it. Reaching this mindset often takes gradual, persistent work. The above summary is a brief overview. There are many OCD cases that are more complex, including "pure-O obsessive" dynamics, where there aren't many (if any) corresponding behaviors. In this case, we do more work with the cognitive relabeling phase – and I often add in mindfulness practices from ACT, DBT, and other therapy traditions. Some clients experience a "rotating" type of OCD, which attaches to various triggers in a sequential manner. This ends up overlapping significantly with Generalized Anxiety Disorder. In this case, we're dealing with a "moving target" of sorts. I emphasize the importance of lowering overall anxiety and stress levels while working with whatever triggers are currently present. Still other people experience obsessive-compulsive dynamics around issues that are undeniably present. Consider, for example, someone who obsessively worries about being fired, and compulsively overworks. If this person actually is in imminent danger of losing her job (and is threatened by her boss about it on a daily basis), we might not officially call it "clinical OCD." But the dynamics are no less painful! In this case, I might bridge into career-development counseling while working on the OCD-type symptoms. If I can answer any questions about cognitive-behavioral therapy for the treatment of obsessive-compulsive disorder, please feel free to contact me. To return to the anxiety and stress reduction page, please click here. Information on the Colorado Counseling website is written by Dan Cavicchio, MA, LPC, NCC. Dan is a Licensed Professional Counselor and National Certified Counselor who offers cognitive therapy on a sliding-scale basis in Boulder and Denver.